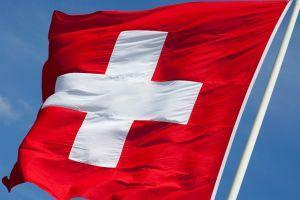 Switzerland’s lower house of parliament has narrowly voted in favor of introducing cryptocurrency regulations. Perhaps more importantly, proposals state that cryptocurrency trading platforms should be considered as financial companies, and thus should be policed by the country’s top financial regulator, the Swiss Financial Market Supervisory Authority (Finma). A total of 99 members of the Federal Assembly’s lower house National Council supported a motion put forward by Giovanni Merlini, the member of parliament for Tessin (also known as Ticino). Merlini's proposed regulations will now be considered by the parliament’s upper house, the Council of States. Per media outlet Netzwoche, Merlini argued that cryptocurrencies can be used by criminals in extortion and money laundering schemes, and thus should not be left unregulated in Switzerland. The vote was relatively close, with 83 MPs opposing Merlini’s plans, and a further 10 abstaining. The move comes as something of a surprise – with the country’s finance minister earlier this week outlining a plan for somewhat more moderate crypto regulations. Switzerland is considered to be one of the most crypto-friendly countries in the world, and its “Crypto Valley” in Zug is a veritable hub of all things cryptocurrency- and blockchain technology-related. Train passengers can even pay for their tickets in Bitcoin as of November last year, after a successful pilot project, for tickets worth up to USD 500 – as reported by Handelszeitung last year. There was good news for crypto-enthusiasts elsewhere in Switzerland, however, with the country’s largest e-commerce retailer, Digitec Galaxy announcing it will accept crypto payment in Bitcoin and the following altcoins: Bitcoin Cash, Bitcoin SV, Ethereum, XRP, Binance Coin, Litecoin, Tron, OmiseGo and NEO. 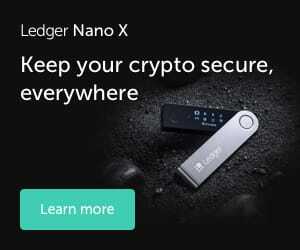 However, per media outlet Watson, customers wishing to pay in cryptocurrencies are only free to do so on orders worth 200 Swiss francs (approximately USD 200) or more. This year could be a busy one for cryptocurrency regulations in Europe, with politicians in Germany, France, the UK, Russia and beyond all set to look at the way their financial bodies police cryptocurrency and fintech-related activities.